Water is a precious natural resource that feels like it is readily available and in abundant supply, but it’s not. Using these water saving tips in our homes, we can help protect that precious resource for generations to come. We take for granted that when we turn on the tap, water is instantly available. 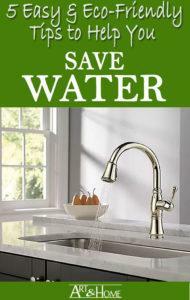 But, if we’re not careful and we don’t do our best to conserve water in our own homes, that may not always be the case. It may seem impossible to fathom that the once powerful Colorado River is beginning to run dry in certain areas, or that a massive body of water such as Lake Mead in Arizona might become a dried up crater, but these are only a few of the dramatic changes that are already facing the United States. Recent droughts in places such as California and Arizona are only making things more precarious. We need to conserve water now, before there is nothing left to conserve. 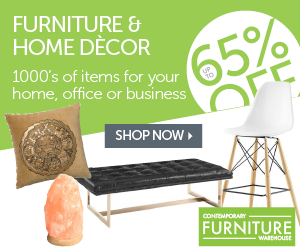 Like that annoying drip of a leaky faucet, small things can make a big difference to your home and to the environment. Here are just a few Easy and Eco Friendly tips to help reduce your daily water usage. They may seem small, and they likely feel annoying, but those tiny tips can add up to a LOT of water lost in a given year. 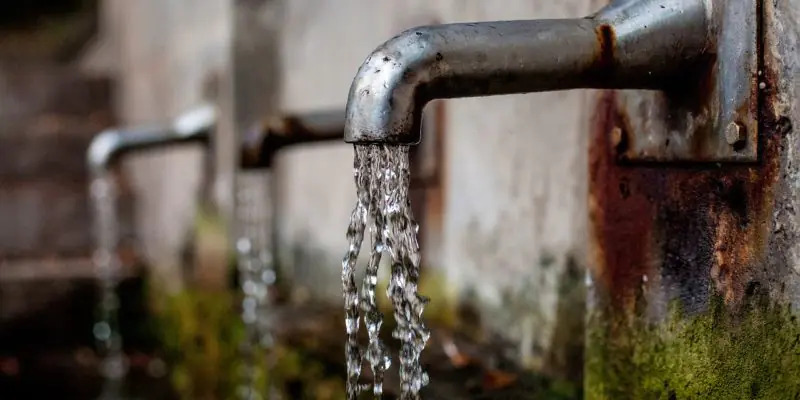 From dripping faucets to leaky toilets, water that runs without purpose is – literally – the environment (and your money) going down the drain. 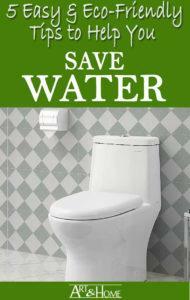 The average leaky toilet can waste about 200 gallons of water per day. And that annoying drip, drip, drip from your tap could be costing you up to 5 gallons of water per day or nearly 2,000 gallons per year. 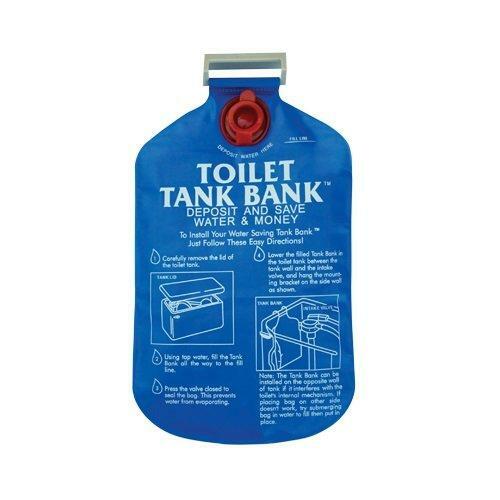 Put food coloring in your toilet tank. If you see the color seeping into the toilet bowl without flushing, it means you have a leak that needs fixing. These leaks can often be far cheaper to fix than to allow to run unchecked. Even if your current toilet doesn’t leak, a dual flush toilet can save a lot of water and money. 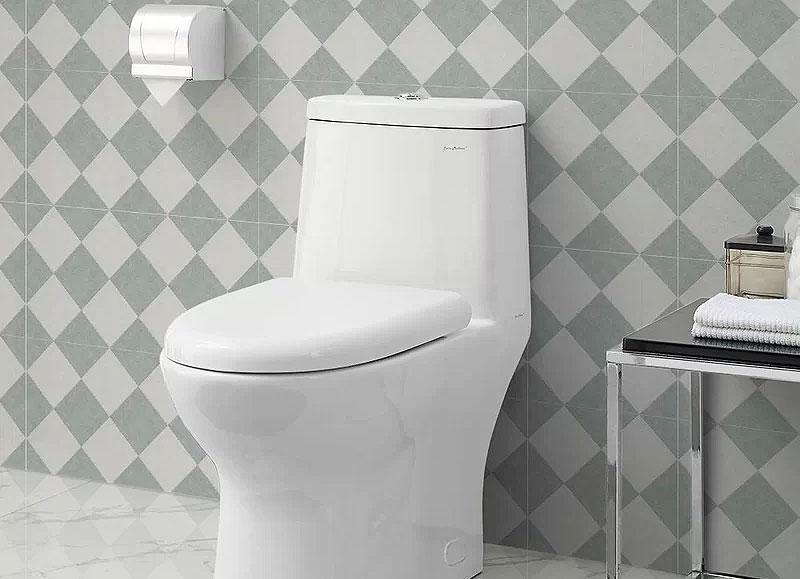 As the name states, a dual flush toilet lets you flush different based on the present need. Although it may be indelicate to talk about, it takes more water to flush solids than it does to flush liquids. Installing a dual flush toilet allows you to flush “appropriately”, and can save up to 70% more water compared to a traditional low-flow toilet. If you don’t have the time or budget to replace your toilet, consider adding a water displacement device inside the toilet tank to reduce the amount of water consumed with each flush. You would be amazed how much water flows down the drain when you are showering, brushing your teeth, or rinsing dishes. 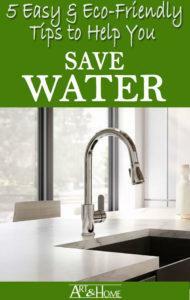 You can quickly and easily reduce the amount of loss water by turning off the taps when you’re not using them. For example, dentists recommend that you brush your teeth for two minutes. 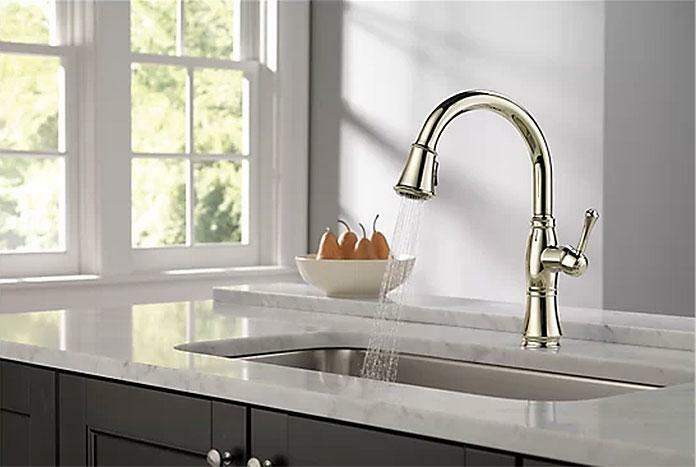 Based on the standard flow of 2.2 gallons per minute, that’s over 4 gallons of water wasted if you leave the faucet running idly while you brush. Showers are another huge water user. In fact, they tend to rank third place for all water usage in the average home, ranking behind toilets and washing machines. 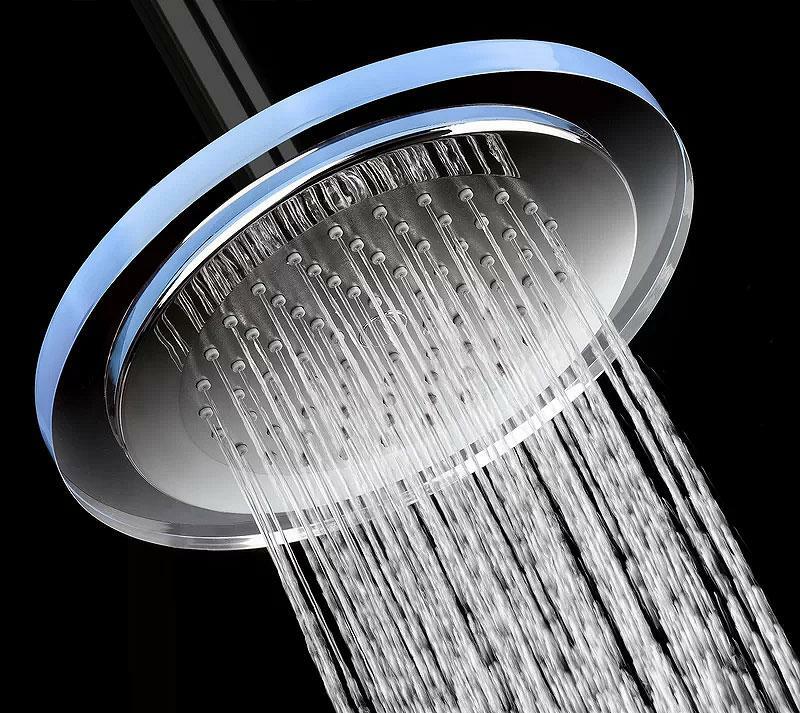 The average American shower lasts for just over 8 minutes and uses about 2.1 gallons per minute, for a total usage of uses 17.2 gallons of water. Shorter showers, or turning the water off while lathering, can significantly reduce the amount of water that is wasted on a daily basis. When running a bath, don’t wait for the flowing water to reach the desired temperature, plug the bathtub first and adjust the temperature as the tub fills. This can save you gallons of water. If you can’t, or simply don’t want to, reduce the amount of time you have the water turned on you can reduce the amount of water that flows out per minute. Installing low-flow faucets and shower heads can significantly reduce the amount of water used on a daily basis. 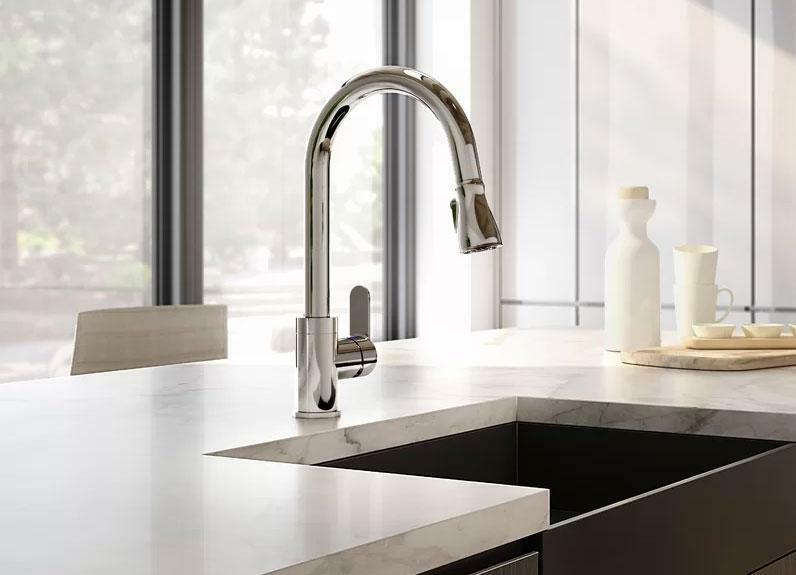 Low flow faucets and show heads can reduce water consumption by 30% of more, and you can hardly ever notice the difference in the amount of water you feel coming out of the tap. 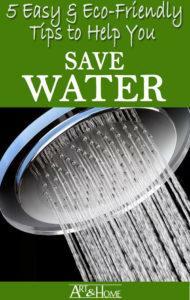 Use a showerhead that has the WaterSense® label. They’re relatively inexpensive, very easy to install, and can save you up to 750 gallons of water per month. 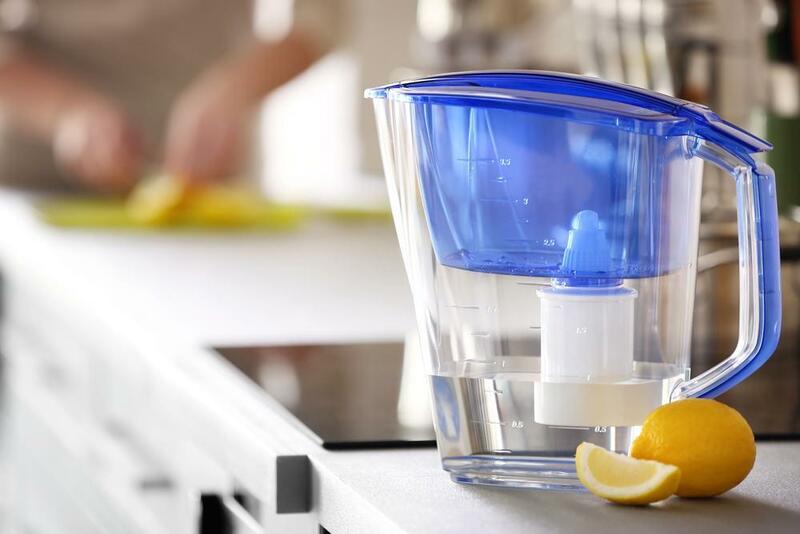 Instead of filling up your drinking glass every time you need water, consider using a reusable pitcher or water bottle. On average, for every container of water you pour, a full glass of water goes down the drain. If you fill up larger containers, you waste less water. Plus, having cold (and perhaps filtered) water on hand saves having to run the tap until your water reaches the desired temperature. It doesn’t take a lot to make a big difference in your water consumption and water waste. These Easy & Eco Friendly water saving tips can help you make an impact on the world around you, one less drip at a time.